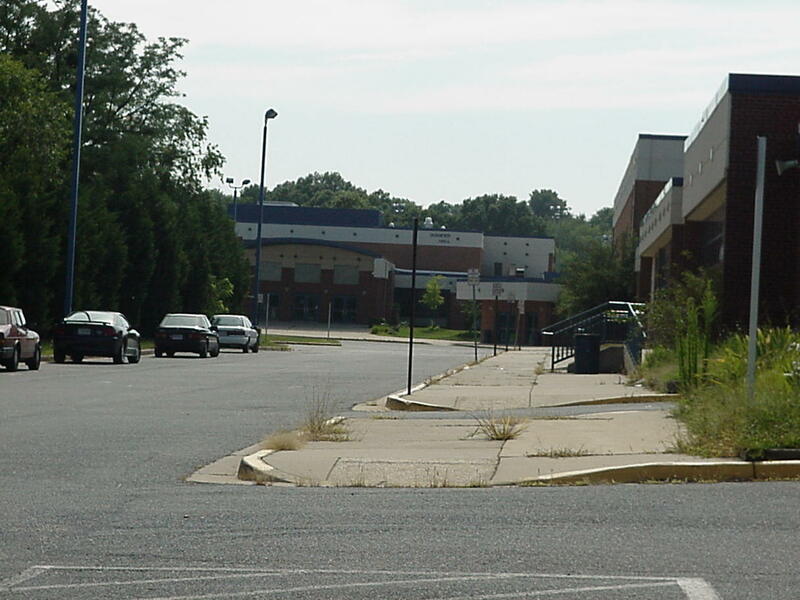 As I’ve noted before, one of my biggest downfalls as a substitute teacher in Arlington and Fairfax counties (VA) from 2004-2007 was “classroom management” – that is, discipline, in middle school classes, classes with many special education students, or even high school with below-grade-level math and science. The worst problem, for school administrators, was a sub who was perceived as a “Wuss”. The other big risk, at a diagonal extreme, was a teacher’s getting into an inappropriate relationship with a student. That’s a subject of an experimental screen play by me called “The Sub”, that became the focus of an incident when I was subbing. (Both my problems are discussed on the main “BillBoushka” blog July 25 and 27, 2007.) But Lionsgate and Lifetime had offered a serious film about the issue, showing the risk to a female teacher, with “Student Seduction” in 2003 (reviewed here May 4, 2010). All of this fits awkwardly into a new indie comedy named, as noted above, “Wuss!”, directed by Clay Liford (from Well Tailored Films and Minor in Possession LLC), that showed this weekend at the Maryland Film Festival in Baltimore. Because of the personal timeliness of the subject matter, I noticed the film as I looked through the festival program when I got there last night, and was lucky enough to find seats available. It did not sell out (Saturday night). Pretty soon, a few kids beat him up on school grounds, and unbelievably the culture is such that the administration won’t engage the police. (He had been told he wasn’t supposed to send discipline cases to the office, even.) He covers the wounds up with makeup, and gradually goes on a reconnaissance mission with the help of a female student Maddie (Alicia Anthony). That will eventually lead to some tragic consequences, but maybe redemption for him. The “intimacy” never gets very far (a kiss on the lips in a car, PG-13 stuff; but in many states a relationship with a student, even over 18, can get a teacher thrown in jail; there is one conversation to that effect in the film with a band teacher). Mitch does have some independence problems. He still “lives at home” and gets beat up by his sisters. But he plays board Dungeons and Dragons, a rather ironic hobby given his character. He’s not beyond taking a bong hit (like Olympic swimmer Michael Phelps, maybe). I did buy Mitch's teaching "Dune" (Frank Herbert, 1965; and a film in 1984). In the opening scene of the film, Mitch is telling an adult girlfriend that he is a writer and novelist, and only then a teacher. (The opening brought to mind the opening conversation at "The Thirsty Scholar" in "The Social Network".) That plays up another angle: the idea that a writer thinks he can bring his writing and teaching together. A risky business, as I would find out in 2005. There is some synergy, though. A novelist should look at each chapter an imagine: if a high school English teacher assigned this chapter of my work, what would the "reading quiz" questions and answers be. (Or, for a screenwriter, ask the same thing about a possible "video worksheet'.) There were some scenes showing teacher camaraderie in the break rooms; that was familiar -- but again, that's double edged. The film was shot in Garland, Texas, a middle class suburb NE of Dallas. I recall from my days of living in Dallas in the 80s that parents sought to get their kids into the “Richardson Independent School District” (or, better yet, Plano). But I find it hard to believe that a school district in the Dallas area would let violence against teachers go. But, in the end credits, the film has a disclaimer to the effect that this story is not real life. The film shows very little of the outdoors of the Dallas area, nothing that is identifiable. The Dallas Observer has a review of the film here. The film was shown at the Charles Center complex with digital projection, and there was some problem understanding the speech, with fluctuating volume and truncation of higher frequencies. While on the subject of substitute teaching, I wanted to note that the best experience I had was with seven days (two separate sequences) of a sophomore Honors Chemistry classes for a Fairfax county teacher in May and June, 2005. I was told all did extremely well on their SAT’s and SOL’s (one student that year missed only one question in the total of all SOL’s). I saw the work they turned in, and it generally looked pretty good. They were pretty good at using the Internet to look up answers to questions on homework or classwork assignments (on the meaning of electronegativity, for example). I recall that the teacher had a technique in giving tests: multiple choice, but the student had to state the reason for the choice to get full credit. When students have already motivated themselves, they do well.